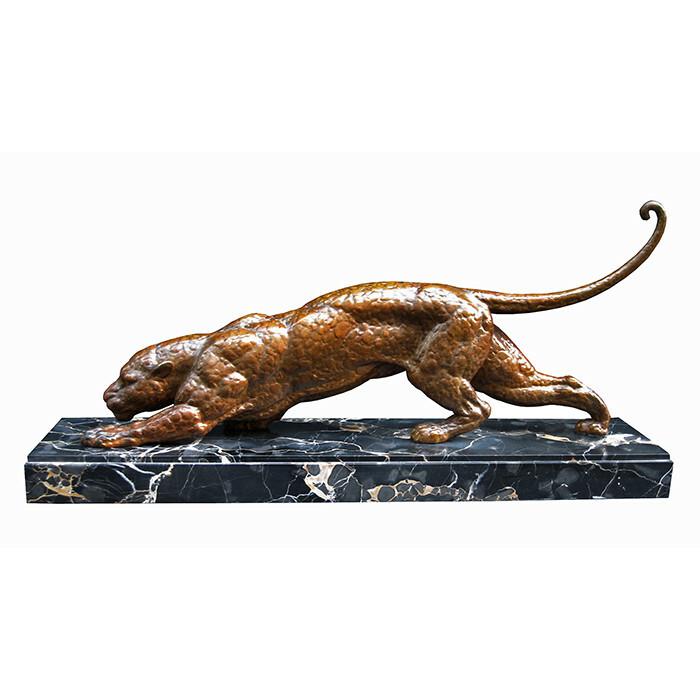 A fine Art Deco " Panther " scupture designed by Demetre Chiparus. Patinated bronze mounted on a marble base. Signed D.H. Chiparus. Dimensions: H:13¾ W:29½ D:6¼ Inches.